Item # 315598 Stash Points: 2,995 (?) This is the number of points you get in The Zumiez Stash for purchasing this item. Stash points are redeemable for exclusive rewards only available to Zumiez Stash members. To redeem your points check out the rewards catalog on thestash.zumiez.com. 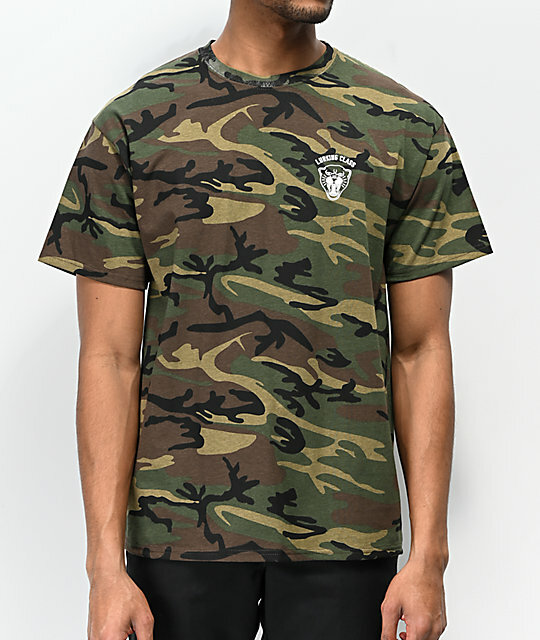 Get an army fatigue inspired look with some serious intimidation factor with the Lurking Class By Sketchy Tank Panther Camo T-Shirt. This allover forest camo print short sleeve features a screen-printed image of a panther head at the left chest with a matching image at the back accompanied by the script "run with us or run from us" for a fresh take on one of the brand's most classic looks. 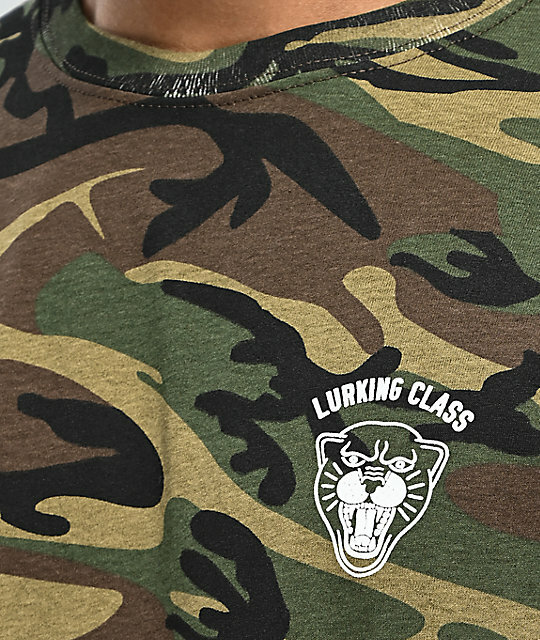 Panther Camo T-Shirt from Lurking Class By Sketchy Tank. 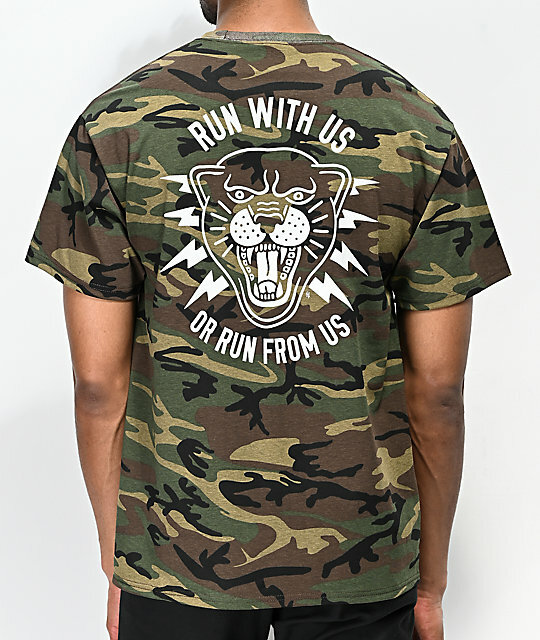 Screen-printed panther graphics at the left chest and back.